The festival’s opening concert will be performed by Paolo Zanzu, an Italian harpsichordist with very European credentials. With his virtuosity and his liveliness, Paolo will focus on the period from the late 17th century to the mid-18th century, featuring compositions by Bach, Babell, Handel, and Scarlatti. Paolo Zanzu, harpsichordist, fortepianist and conductor, first studied in Italy where he was born, then at the Conservatoire National Supérieur de Paris and after that at the Royal Academy of Music in London, with Noëlle Spieth, Christophe Rousset, Kenneth Weiss, Carole Cerasi and Patrick Cohen, among others. At a young age he participated in ensembles such as Les Arts Florissants, Les Musiciens du Louvre, Monteverdi Choir and Orchestras, The English Baroque Soloists, and Le Concert d’Astrée as continuo player, performing in theaters the world over: Paris (Opéra Garnier, Salle Pleyel, Philharmonie, Théâtre des Champs Elysées); London (Royal Albert Hall, Barbican Center, Cadogan Hall); Berlin (Philharmonie); Madrid (Teatro Real); New York (Brooklyn Academy of Music); Beijing (Opera), and others. Since 2008, he has been working with Les Arts Florissants, beginning as continuo player before becoming William Christie’s musical assistant, and in 2016 he conducted (in alternation with Christie) a new production of the comédie-ballet Monsieur de Pourceaugnac by Lully and Molière, staged by Clément Hervieu-Léger at the Théâtre des Bouffes du Nord in Paris. 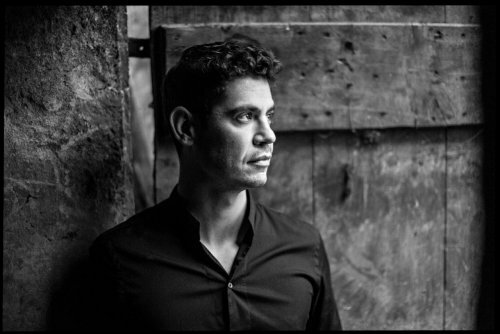 Paolo Zanzu is regularly invited as a soloist by top leading festivals around the world (London BBC Proms, Oude Muziek Festival Utrecht, La Chaise Dieu, Festival de Radio France Occitanie, Cartagena International Music Festival…). In 2015 he began a complete cycle of Schubert’s piano Sonatas at the Cobbe Collection, in Hatchlands, England. Since 2011 he has been professor of basso continuo at Brussels Royal Conservatory, and his educational publications appear under the Ricordi imprint.